Crowd control is important in many different foodservice environments, from school cafeterias, to arenas and stadiums, to large outdoor events. Thankfully, with stanchions and retractable-belt barriers, crowd control is easy. 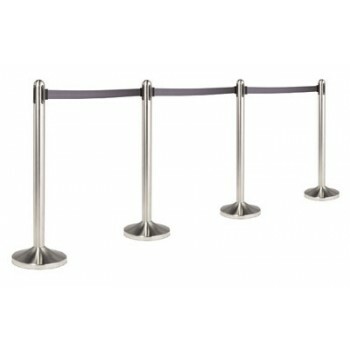 myBoelter carries a variety of heavy duty and color coded stanchions that will not only survive the hard knocks produced by any crowd, they will also improve traffic flow and make “where to go” simple and intuitive.